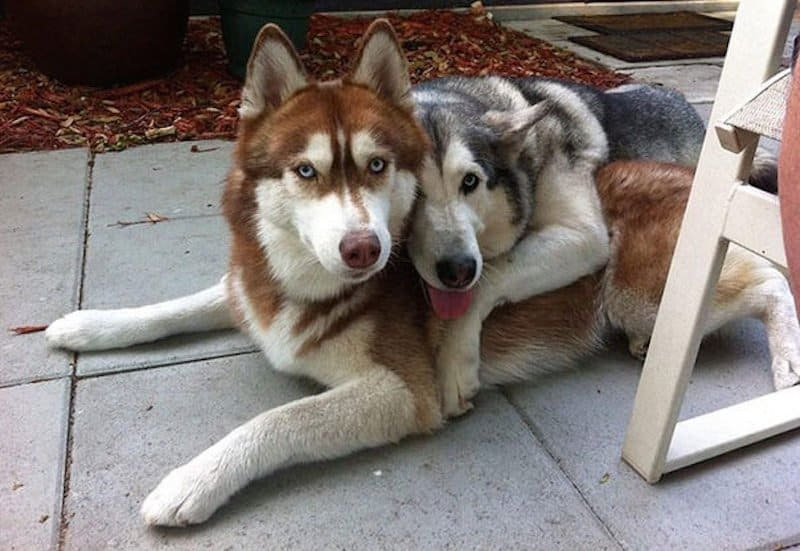 Everyone loves huskies, and as you can see in this photo, they love each other. This is such a cute photo, laying with each other, hugging. 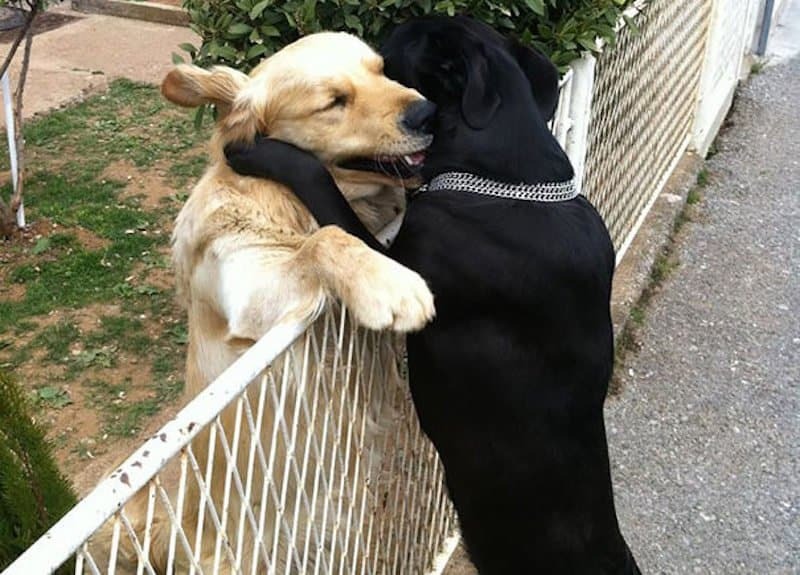 This one makes our heart melt, as these dogs are ignoring the fence between them and hugging regardless. 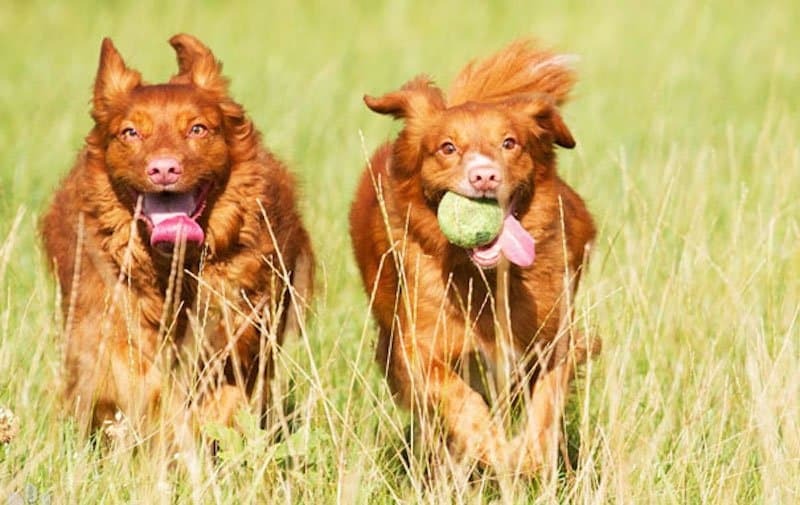 The golden one looks so happy and carefree. 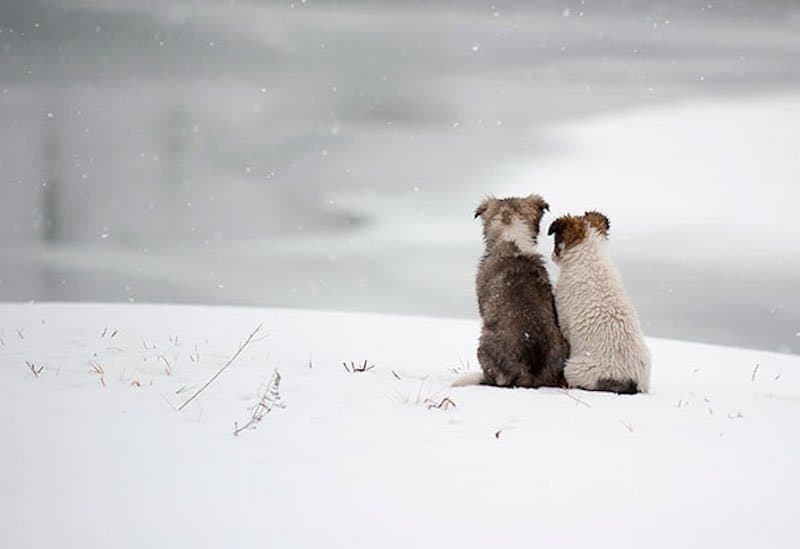 This is such a cute photo of these two dogs, walking alongside each other. 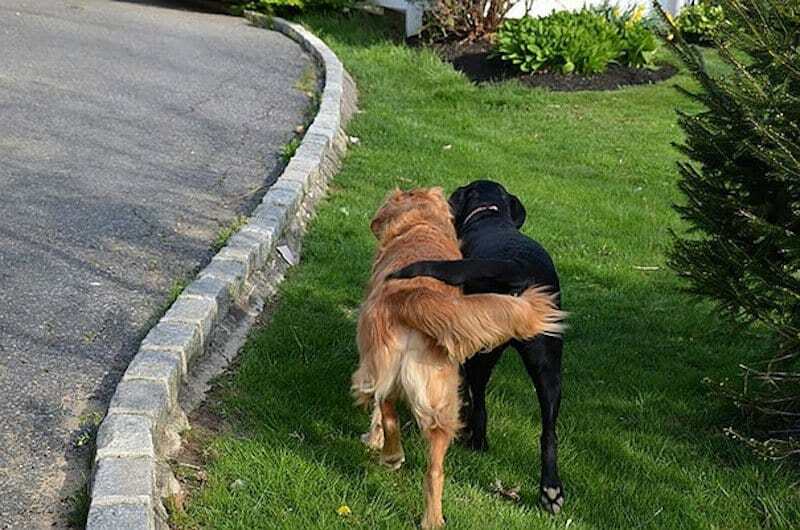 What makes this photo even cuter is the black dog’s tail on the golden one’s back. This photo is just too much to handle. How can you not want to grab these puppies and just snuggle them all day? They are so cute and going to grow up buddies for life. 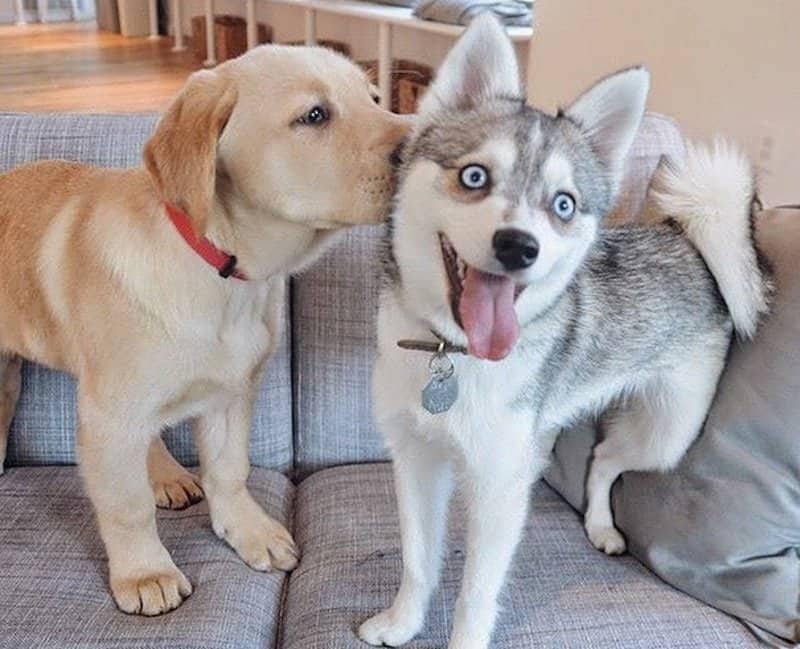 We love some puppy kisses, but this little guy is sharing the kisses with their friend. There is too much cuteness in this photo — look at those eyes! Keeping it in the family here, as this little girl is giving a hug to her big sister. 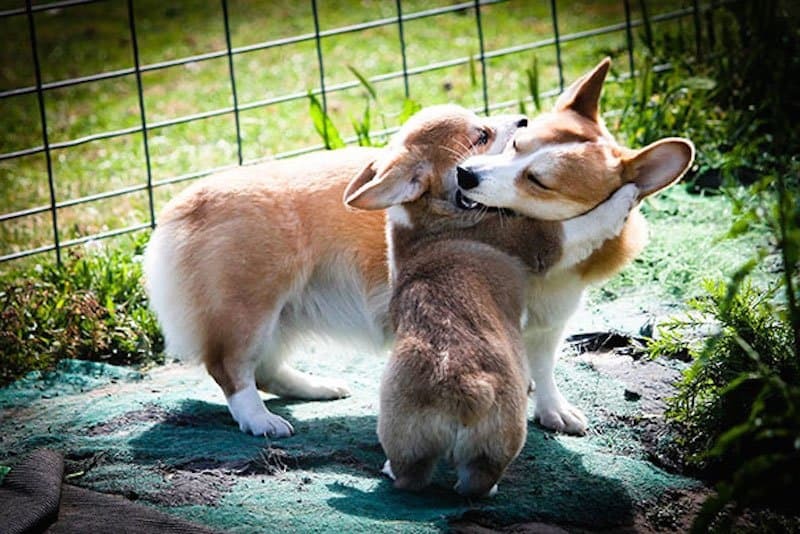 Who knew that dogs hug? It is beyond amazing to see! The big guy is passed out and the little guy just wants to stay close to him. Such a cute photo, seeing them snuggle together. 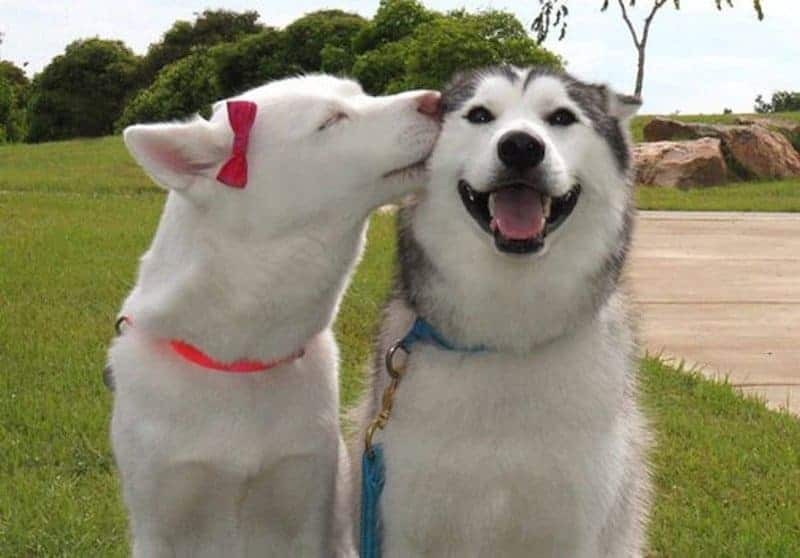 The kisses continue and not just for the puppies, as this girl is sharing them with her friend. They do make a cute couple, don’t they? 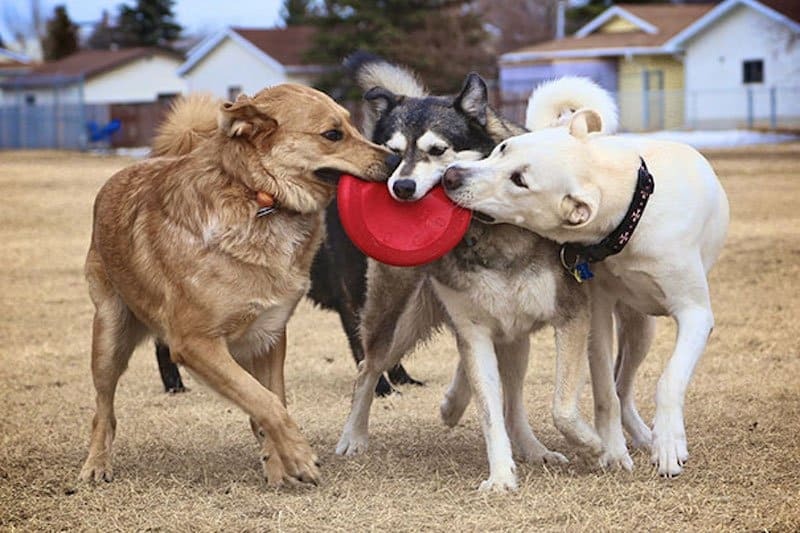 These buddies all want that Frisbee! How cute is it to see them all with it in their mouth at the same time? 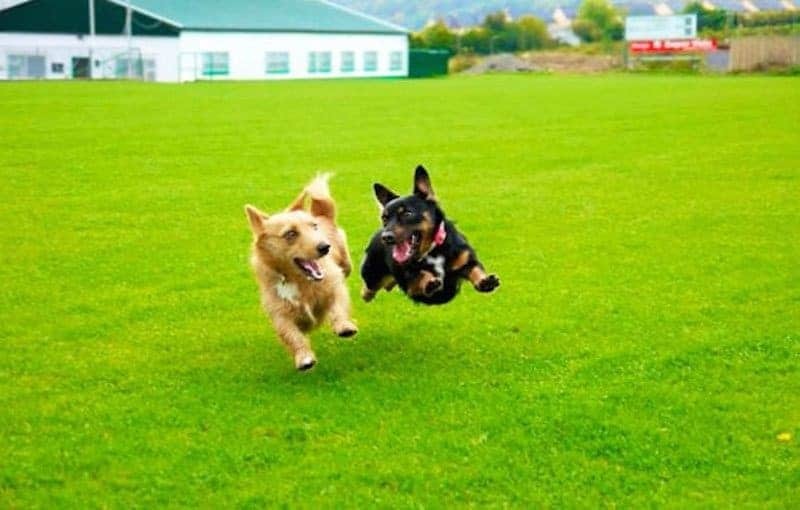 They are definitely having fun. 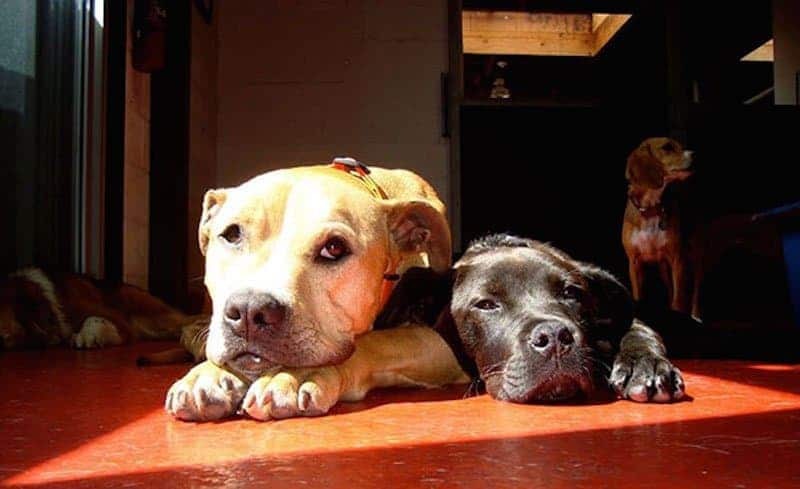 These two adorable dogs are relaxing in the sun together. 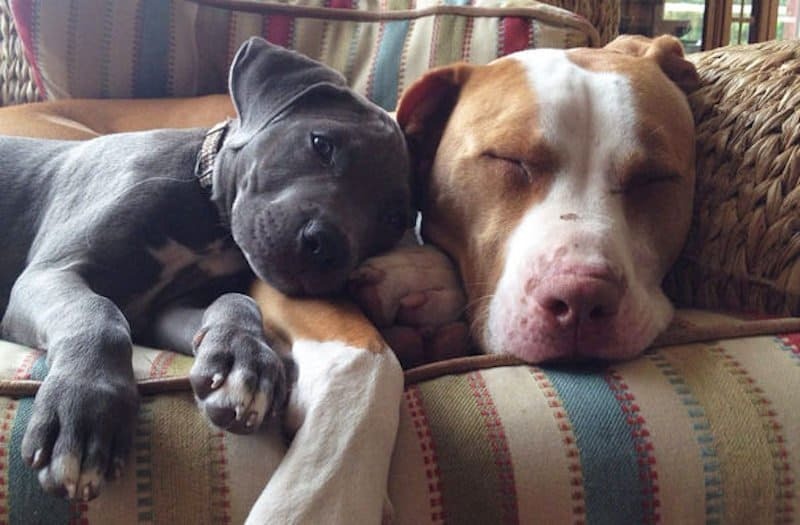 While those two are extremely cute, we want to see that puppy lying by itself joining in. 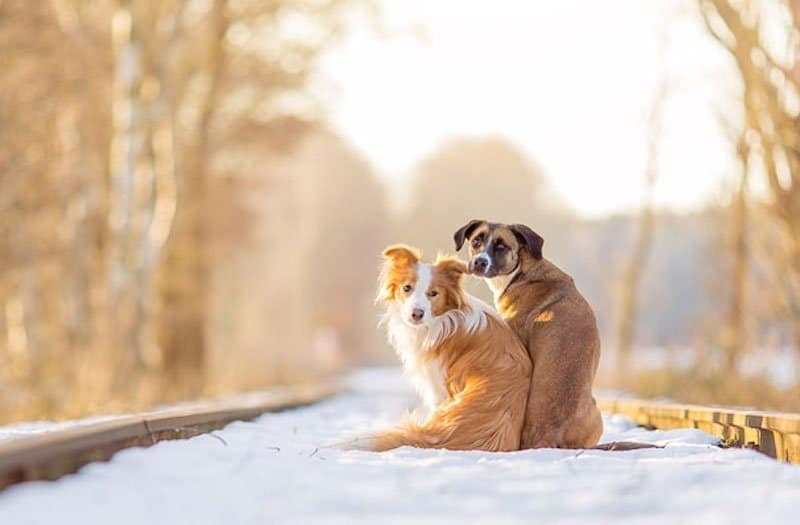 The photo is so great and not just because of how cute the dogs look together. It is an amazing photo and something must have caught their attention. It looks like these guys are enjoying a car ride together. 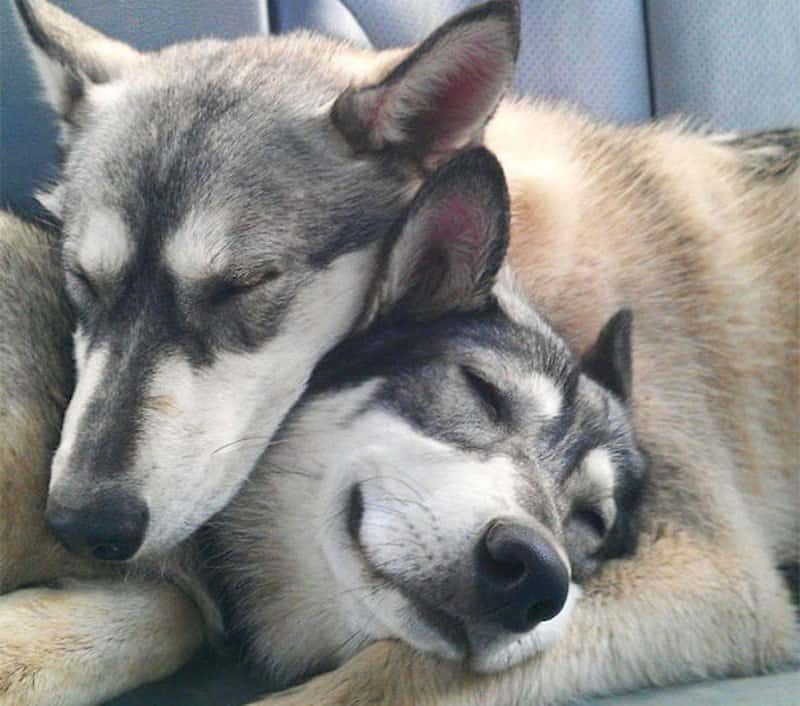 Cars make us sleepy too and these dogs are using each other as pillows! 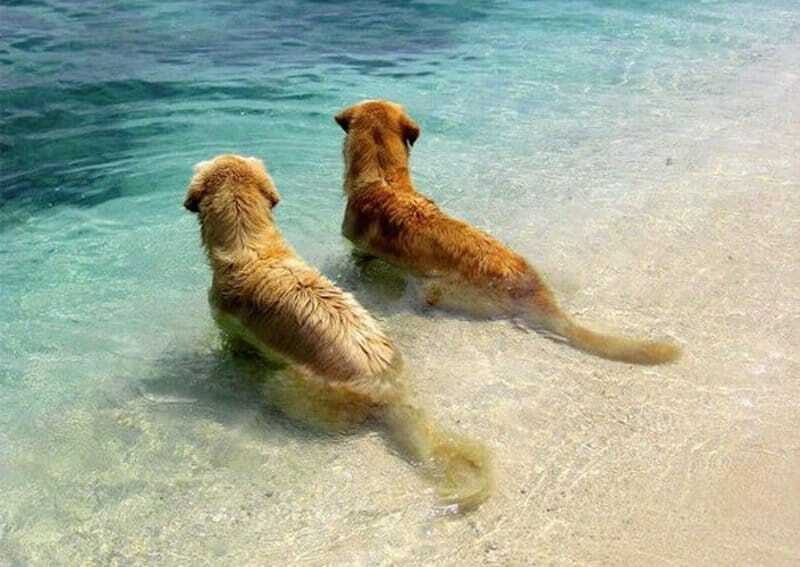 The beach must have gotten a little too hot for these guys, as they make their way into the water. Such beautiful water and such good dogs for sitting there so patiently. 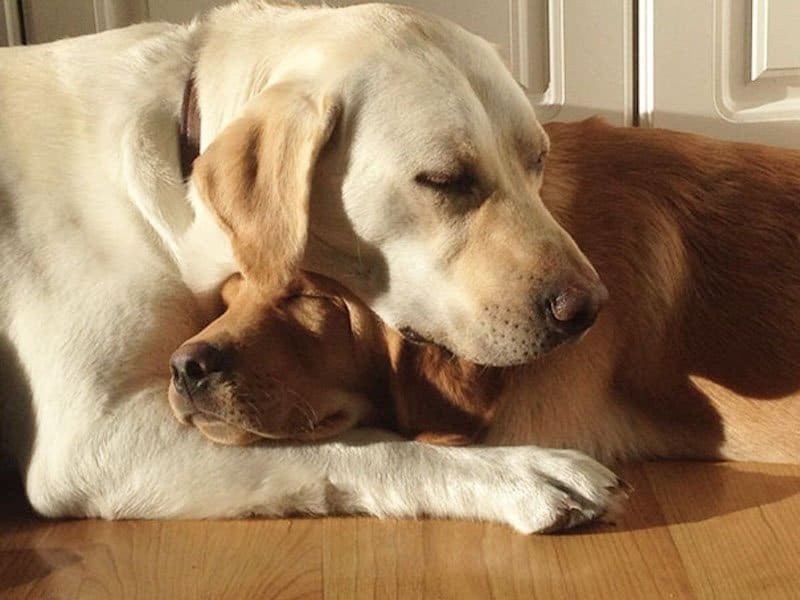 We have the big and little spoon here for these dogs. 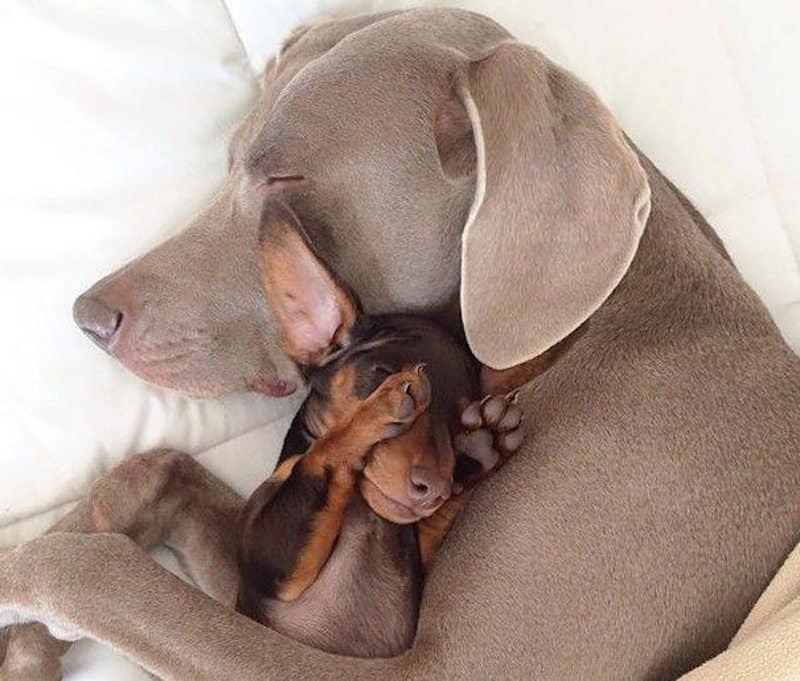 That little dog and their paws is beyond adorable and they both are sleeping contently. 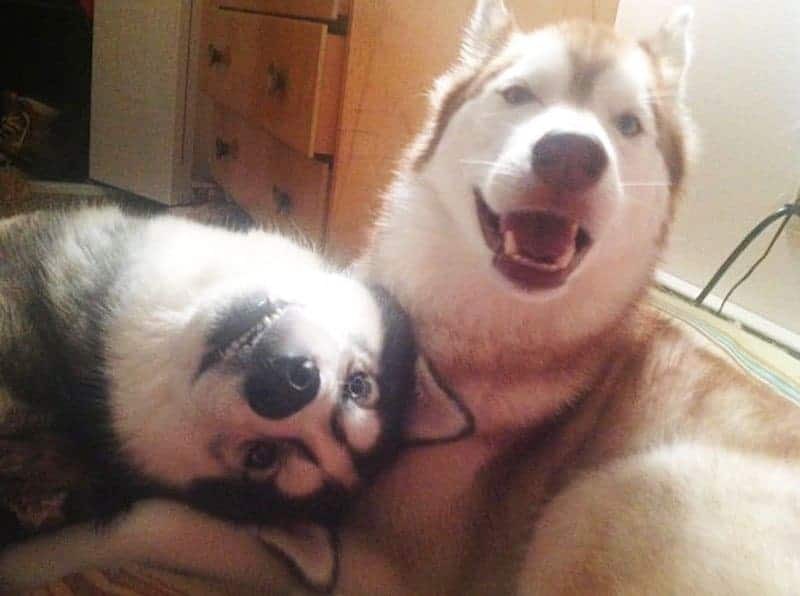 These friends are having some fun for the camera. 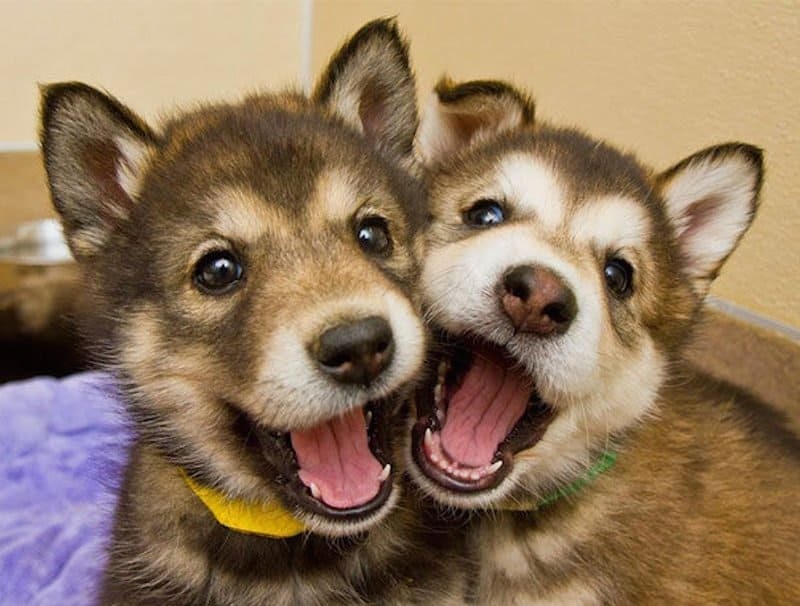 We all like to make silly faces and pose for the camera, but it seems like dogs want to join in on the fun!